We built this content management system with the small business owner in mind. 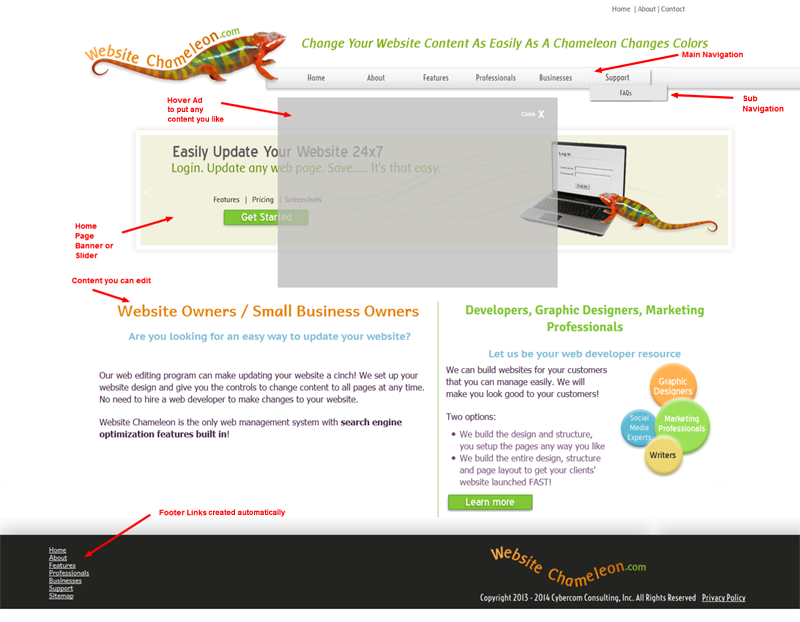 We made it so that it is easy to understand and update your website content. This content management system can be used for anyone who thinks they are not tech savvy. Easily make pages part of the top menu or drop down menu Add, edit or remove pages or just move them around on your navigation menu so it is easy for your visitors to find. Blog RSS Feed Your customers can subscribe to your RSS feed to get new blogs posts the instant you post them, more exposure for you! Backup copies of page revisions Review the information you had on any web page in the past. Up to 8 revisions are kept. Contact form at your fingertips If you choose to have a contact form rather than your email, our premade form is ready to insert on any page.